Just when we thought FB is the only one carrying out research on their AI implementation, Gmail has joined in the race. In its I/O Developers Conference recently, Google announced the inclusion of its Smart Compose as an ‘experimental feature’ of the desktop. Of course now since AI is going into almost every sector and framing up the major chunk of research and development, we are not completely surprised. 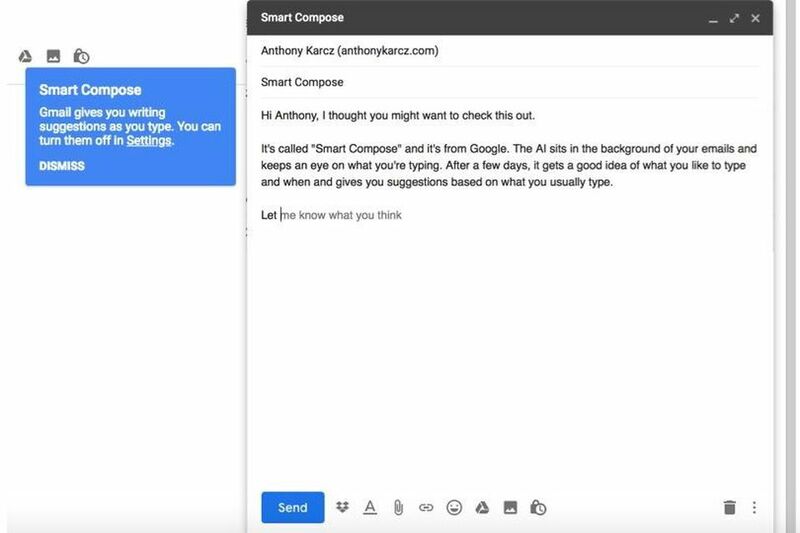 So what is the Gmail Smart compose feature all about? You can think of something like the auto correct with some AI thrown into the mix. Auto compose will complete the sentences for you when you are writing your mail. That is what smart compose is all about. Do we think that it is something really big of a change that Gmail has rolled in? Not really. But it is definitely helpful in completing your sentences while you are typing something. Having said Gmail has rolled in these changes does not mean that these changes will be applicable right away. You will have to enable this new feature in order to use it. 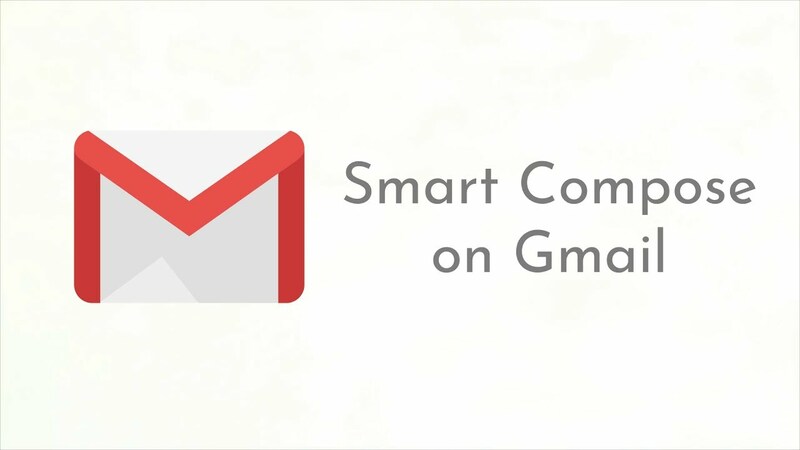 Here is how you can activate the Smart Compose feature of Gmail. Then navigate to the bottom of the page to ‘Save changes’. Though it is helpful in many ways, Google has said “Gmail Smart Compose is not designed to provide answers and may not always predict factually correct information.” as a simple warning. It is fairly simple. While you are typing you will see some translucent text next to the cursor. That is the Smart Compose feature in action. One interesting feature about Gmail Smart Compose is that it will compose the predictions based on the frequent words that you use depending on the past trends of your activities. We think that the usefulness of the Smart Compose feature will show at the time of its usage. We are guessing that the AI will pick up the words that you use on a daily basis to suggest words that are more useful to you and that can complete your sentences for you. Though many people found the Smart Compose to be more intuitive than the demonstration shown in the Taco Tuesday. But that again can be shoved to the fact that this AI gets better with usage. Up until then, it can just be something that will suggest you common words like “is this okay”, “if possible”, etc. The only difference between autocomplete and Smart Compose is that autocomplete would simply complete the words while Smart Compose can guess or predict and complete the entire sentences. So what do you think about this new AI feature enrolled in our Gmail? Do you think that it is a necessary change that has been put up? What would have been a better way to include AI? Comment below.